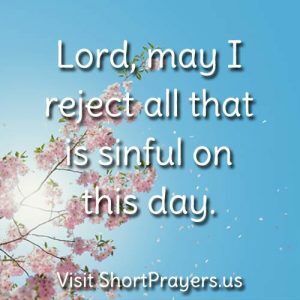 Lord, may I reject all that is sinful on this day. Resisting and overcoming sin demands God’s help. Will power which is your will is not God’s will. Ask for God’s forgiveness for your sins and God’s grace to refrain from sin.